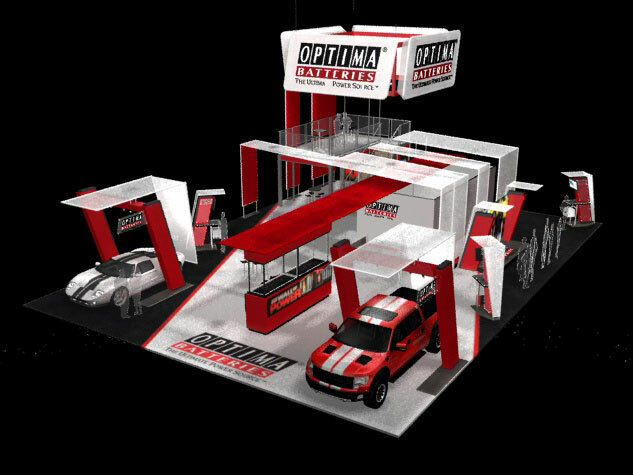 Optima Batteries was looking for a new Trade Show Exhibit that would provide a high-branding impact while still keeping budget in mind. We accomplished this by combining custom and stock elements to deliver a booth design that featured bold colors and shapes that were consistent with the Optima brand. High notes of this design are the Overhead Canopies for the show cars, a 10 x 20 Conference Room, and an Elevated Balcony.